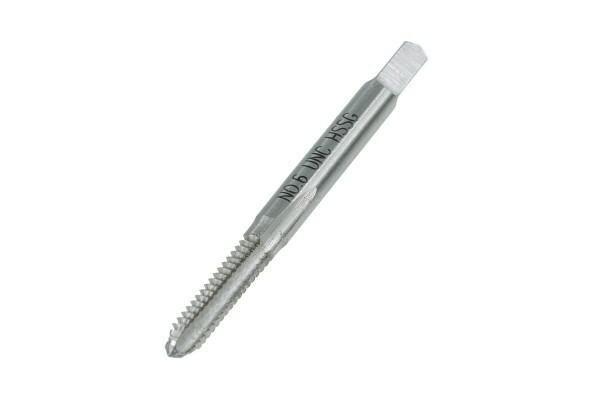 Screw tap for tapping of a 6-32 UNC thread, usable for manual or machine-tapping. This tap is a German brand-name product. It is made from steel with a specially hardened surface. This prevents galling of the tool in the component. The shaft is reinforced to keep the tap sharp for many times of use. The tap has three grooves machined into it to cleanly transport the cutaways outwards. The tip is angled at 60° which is perfect for use in pre-drilled holes.